These high quality tubular frames and cushions are perfect for relaxing in the sun. 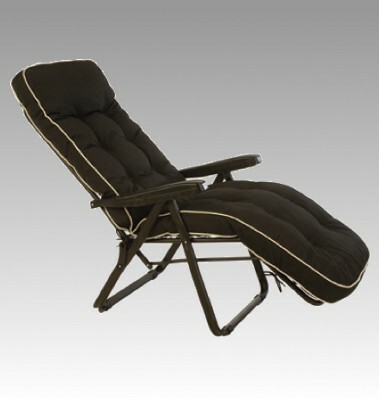 Available in green, blue, terracotta, natural, taupe and black fabrics all with matt black frames. Features blown fibre filling with fabric covered buttons. 180gram double-sided polyester with shoe lace ties, coordinating piping and jumbo luxury arms. Frames are 40 x 20mm rectangular steel.